I'm tired of worrying about the difference between inspiration and theft. I've censored my crafting, concerned that if it wasn't "original" it wasn't worth making and/or that I'd be labeled a thief. Google "inspiration v. stealing ideas" and you'll find lots of other people have been talking about this same thing for like forever. In fact, even the quote "Good Artists Copy, Great Artists Steal," widely attributed to Picasso, was probably stolen from someone else. 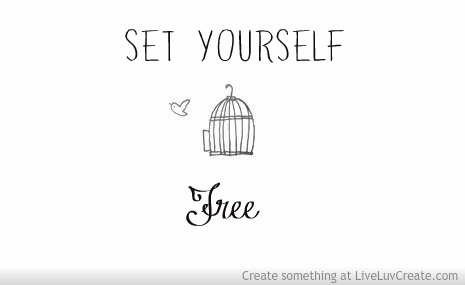 So, I'm inviting you to join me in setting yourself free from the fear of stealing. I am inspired. A tie, a card, a book cover, a tray of fancy chocolates, those gingham curtains next to a floral print that I just noticed on an episode of Law and Order called Acid? It's all out there. Embrace it -- it is human, it's a good thing to be inspired. We need it. Copying every element of a design is boring and not attributing a copy to someone else is unethical and sometimes illegal (I'm still startled when I see this and I see it all the time). It's the execution, or the little extra something that makes it our own that makes it fun (not necessarily better, because we can be inspired and still make something awful). But taking an element and running with it is not stealing. It's being inspired. Sometimes I don't know the difference, but I try and respect others and that is the best I can do. So put gingham and florals together. The set designer on Law and Order wasn't the first, or the last, person to do so and didn't feel the need to let us know. What a thoughtful and thought provoking post. Sometimes I feel bad because I want to make a card just like one of the stamp designers made during the release hoopla that caused me to buy the stamp set or die. I have to tell myself that it is OK. When I knit, I follow a pattern, and when I bake, I follow a recipe. I don't feel ashamed about following a pattern or recipe, and I still feel like I have created something of my own when I am done. So, I remind myself that it is OK to look at a published card, meant to inspire, and to make one of my own. Joyce, that's an excellent point about patterns and recipes. I have to use others (like your) artistry for inspiration but I try to give credit to the origin of the inspiration, no matter how small. I don't have a blog, so I don't really worry about someone saying I have copied someone else's work. I can say that so far in my card making, I have never even CASE'd anyone else's card. I have never used one of the many sketches that abound in blogland. I feel that my cards are original because I start with a theme such as birthday, thank you, etc. and choose appropriate stamps from my stash and then build from there choosing a color palette and whatever other things I think will work with the stamp/stamps I have chosen such as patterned paper, dies, embellishments, etc. Most of my cards change along the way even when I thought I had a design in mind so even if I started out to actually CASE someone's card it probably wouldn't turn out looking much like the original anyway! LOL! BUT, as the Bible says (depending on which translation you choose) "there is nothing new under the sun" so I think a lot of cards come out looking very similar. Many of us read blogs and see a lot of other card maker's work and some of it has to stick in our heads whether we are aware of it or not. And while there are a ton of stamp, die, paper and other card supply companies out there, we are really all drawing from a finite pool of supplies which may not always be used differently by different people. And lastly, a card is a VERY small space to work in which to me means that there are only so many pleasing layouts for most card designs and thus, many of them will look very similar. While most of us probably don't like a "copy-cat" and don't want to be one, it has been said that imitation is the sincerest form of flattery so I would say that everyone should just relax and enjoy their hobby. We all know (whether some live it or not) that it is WRONG to flat out copy someone else's work and take credit for it. So, no one should be submitting copies of someone else's work for publication, etc. But, otherwise, it's JUST A CARD and hopefully is being made to be sent to brighten someone's day. We know that in this card making community there are all levels of ability so maybe we need to consider the source when it comes to who we see doing the copying. I can't imagine that anyone would really want to be seen as a copy-cat on a public forum like the Internet. I wouldn't think anyone could really get away with it, anyway. And as annoying as it might be if you are the one being copied, I'd just take it as flattery and move on. But, that's just me. Life is too short to be bent out of shape over a greeting card! I'm totally a thief. I do try to credit where credit is due. Often I don't remember where I've seen the design so I'll just mention it is a CASE card. I often feel funny naming people on my blog anyway (all my stories about people are pseudonyms). I often CASE things to get the creative mojo going and as I'm making the copied card more ideas pop into my head. Sometimes they make it onto paper and sometimes not. I would never make a copied card and pass it off as original idea. Although as others have pointed out there aren't really new ideas and you can't always know if your idea is totally out of your own head or unconsciously inspired by something you saw but don't really remember. That said, here's a twist on what you are saying: I received my own Christmas card back in the mail this year. Last Christmas I sent a card to a friend and this year she chopped the front off my card, revamped it a bit, with a greeting on a die cut and sent it back to me. I'm not sure how I feel about that. In one way it is kind of neat to see another twist to my design. In another way it is just kind of off. She didn't put her hallmark on the back of the card though, so she didn't try to pass it off as hers. She might have thought I'd enjoy the image and she'd be right as that's why I bought that stamp. It's just interesting. Oh dear that twist is something else!! Wow, Judy. Not sure I'd know how to feel about that, either. Thanks, Joan, for putting this out there. As an extremely CAS stamper, I find that there is only so much I can do that is CAS on a 4.25" x 5.5" space. Like Anonymous said in her comment, our choices are large but still limited, and those of us who have an extreme style are even more limited! There's bound to be overlap and parallel development of the same ideas, completely unintentional and accidental. When copying becomes intentional, there's still a gray area. Are you publishing your copied work or posting it online as your own? Are you making money from copying or are you developing your "brand" in ways that benefit you materially or by reputation in the craft community? If you're copying just to send cards to your Aunt Matilda or Cousin Frankie, who cares? I get inspiration from LOTS of different places. Occasionally, it's from a card or work of another stamper, and I acknowledge it as such, usually with a link to the inspiration artist's blog if there is one. Very rarely, I can't remember where the inspiration came from, so I state that clearly and ask my readers to tell me if they know! But we're so saturated with inspiration from all sorts of places that we are influenced unconsciously all the time. Should we worry about that? There have been several high-profile cases of plagiarism and fudging data in publishing and news reporting in the past few years. In these cases, it's obvious what happened (once you look), and it's wrong on every level. Each case of theft or lying erodes trust...trust we desperately need to keep functioning in healthy and effective ways as a society. When the stamping community is damaged by outright theft, our community is weakened. When stampers respect sources, we all benefit. Thanks again, Joan, for making us all think. I look forward to more of your posts [and cards] in 2015 -- you do get us thinking.... Happy [almost] New Year! Great post Joan. It's something I've given thought to as well. I agree with Joyce and Vicki. Many times the directions or video or product just "wants" you to make a copy. And then, with that work finished; go and see what else you can do with that idea or inspiration. I "copy" and "steal" ideas all the time. I never felt guilty about it; because I didn't take credit for the idea. I would feel horrible about posting something that I had made that was not mine though. I don't know how people do it. When I buy card kits from Simon Says Stamp or other supplies because a design team member's project made me want to own the same stamp/paper/whatever, I feel that it's okay to make the same card as that's the point - these companies are encouraging us to buy their products by providing samples for us to re-create. Having said that, I'd never copy a card and pass it off as my own original creation. I am quite often inspired by other card-makers blogs and many of their creations have been the starting off point for my own but I do mention if my card is CASEd even though I don't often know the original creator as I tend to surf blogs on my tablet, not when I'm making a card. "commercially" (e.g. ebay, etsy) or for publication etc. I would consider that theft. Other than that, if card makers don't want their creations to be used for inspiration or to even be CASEd, why on earth are they sharing them on their blogs? Hear, hear! After a long (erhm... extremely long) hiatus from stamping, I find myself looking for inspiration and enjoying what others create. I want to try my hand at replicating, with the supplies I have, for the pure joy of creating - without worrying about whether I'm copying. It's great to find your blog again, Joan. I hope you're well and love your posts and creations. You inspire me! Good post! I agree that we all pull from various inspiration that is out there and a lot of it is going to overlap, including inspiration from fellow card makers. Another point this brought up for me is technique tutorials. I mean how many "new" techniques can there be? Most have been done and done many times with some variations but when you get down to it it's the same basic technique. I personally think that no one can avoid this and as long as the tutorial writer is showing their way of doing it its not stealing. Posting cards with a watermark clearly on them that is not yours...stealing for sure. Sadly I have seen this as well.